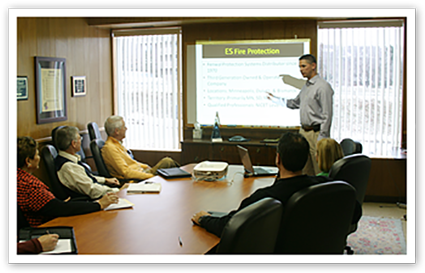 Since 1970 we have protected mission critical areas, whether it is a critical equipment room, process equipment, or a complete plant. Customers can be data centers, telecommunications, power plants, mining, hospitals or various other commercial enterprises. Our experience gets the job done right. Operating out of five full service locations greatly minimizes our response time in handling emergency service, providing hazard analysis or installing a system. We strongly support factory training and NICET accreditation for our project managers, designers and field technicians. We support our industry through membership in a variety of associations designed to serve and improve life safety needs.